In this month’s column we bring you news from the latest rounds of the Ultra Trail World Tour and other events as well as a selection of news from the blogs. Probably the stand out event in a busy April, the Marathon des Sables never fails to disappoint. This year’s event had some surprises in store as the six stage race unfolded. From a British perspective the performance of Thomas Evans was stunning. It must have been disconcerting for the Moroccans to see him in contention and leading stages. But of course it was a Moroccan victory and a one two by the El Morabity brothers with Rachid coming out on top of younger brother Mohamed by twenty three minutes. Abdelkader El Mouaziz dropped from the race and that opened up the podium opportunity for Evans which he grabbed with some phenomenal running. The women’s race was controlled by Sweden’s Elisabet Barnes looking for and achieving her second MDS victory. Her margin increased daily from Nathalie Mauclair of France but Mauclair clawed back some time in the long stage that is her specialty. Barnes kept close to her in the long stage to ensure she did not drop too many minutes. Brazil’s Fernanda Maciel claimed the final podium place but was adrift of the top two by over an hour. The prize of top Brit was of course claimed by Thomas Evans with that impressive third place overall. Andy Symonds was a clear second from Damian Hall. On the women’s side Jennifer Hill ran strong throughout and claimed the top spot from Jessica Hook and Elizabeth Currie who were within twelve minutes of each other but a distant five hours from Hill. The distance 100 miles, the elevation 7,210M, the country Croatia, the first time on the UTWT, the fifth running of the event and two stand out performances by American Dylan Bowman and Italian Francecsa Canepa to win. The organisers must also be very happy with the result from their first UTWT outing. Bowman won by over an hour from Italian Oliviero Bosatelli. Canape was the pre-race favourite and won with a seventy eight minute margin from Slovenian Alenka Pavc. The Patagonia Run is a new entrant to UTWT in 2017. With a total of 8,000M vertical ascent and a distance of 145km there is plenty of time to take in the impressive landscape of the Andes mountain range. Five time winner Sergio Trecaman probably didn’t stop a lot as he only took eighteen hours to complete the course just ahead of his fellow Argentinian Jose Manuel Gasca. The women’s race was won by Adriana Vargas with who had a thirty-five minute cushion over second place Teresa Nimes of Spain. Madeira Island is located in the North Atlantic Ocean off the coast of Portugal. It’s a beautiful island with spectacular cliffs and even more spectacular roads for nervous drivers. The interior is extremely mountainous and has a fabulous network of footpaths called levadas that criss-cross the island. 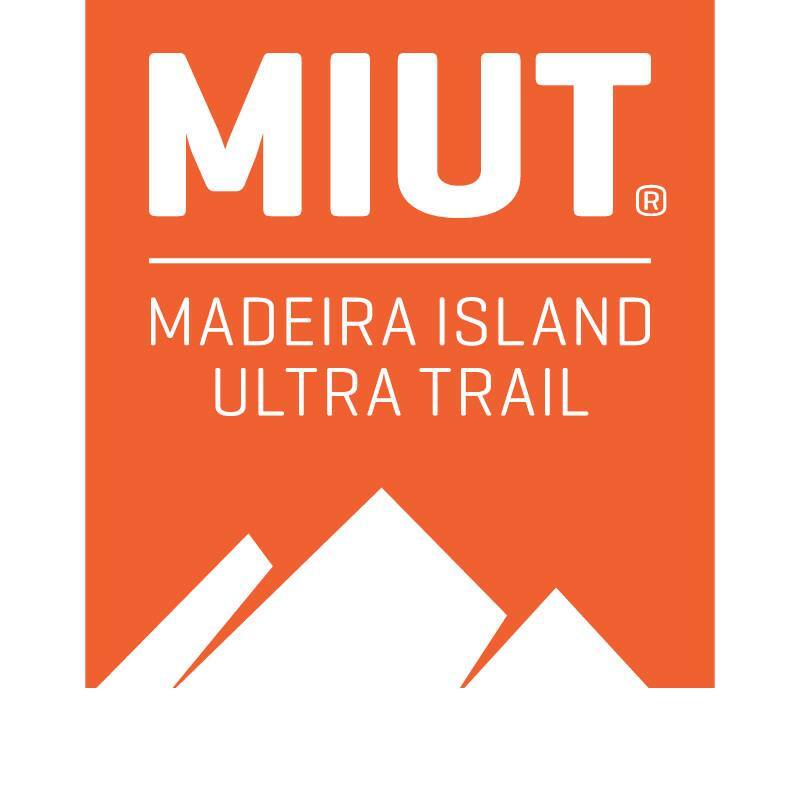 The MIUT traverses the island from North West starting in Porto Muniz to South East in Machico with a staggering 7,100M of ascent in 115km. Francoise D’Haene crushed the course record set last year by Zach Miller, the Frenchman recording 13:05:44 and a full forty six minutes faster showing that he is back in form. In fact, second and third placed Pau Capell and Xavier Thevernard all beat that previous course record. Andrea Huser dominated the women’s race to claim yet another deserved victory. Her time of 16:30:47 was well short of the superbly fast time of 14:34:30 that Caroline Cheverot posted last year. Britains Beth Pascali claimed second place ahead of Italian Lisa Borzani by over an hour. 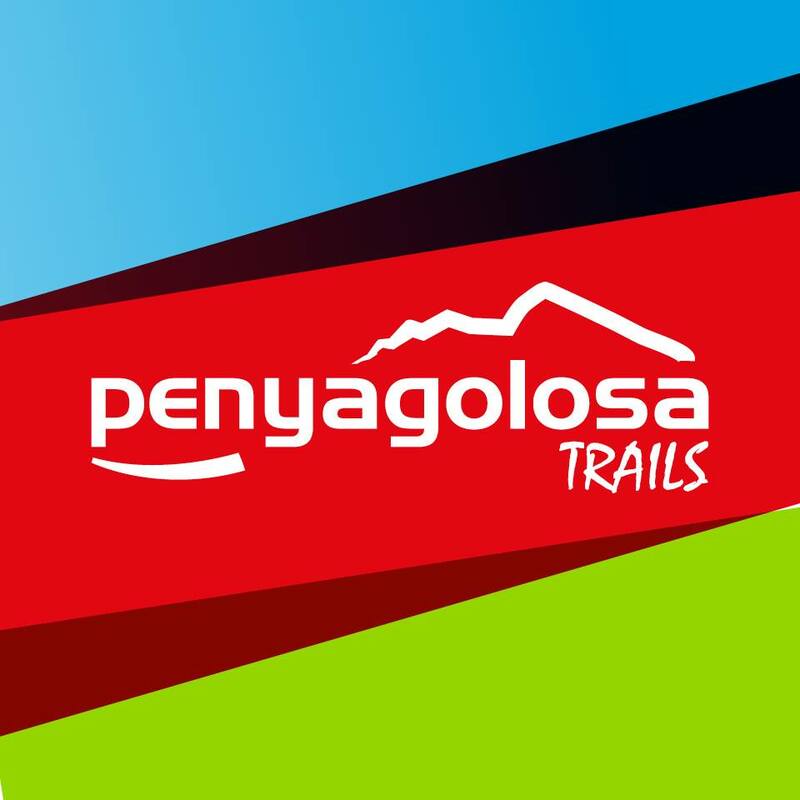 This is the first year that Penyagolosa has been on the UTWT. Timothy Olson joined a mainly Spanish field of four hundred plus runners who tackled the 115km and 5,500M of ascent and it was Olson who came out on top. A jubilant Olson was followed by Yeray Duran Lopez around twenty two minutes later. Remi Queral Ibanez took the final podium spot. The women’s race was a Spanish affair with Gemma Arenas Alcazar topping the list by a mere two minutes from Maria Mercedes Pila Veracocha. Leire Martinez Herrera was third fifty minutes later. This was the sixth running of this flattish 100 mile race from London to Oxford. A course record from last year of 14:09 by Craig Holgate was the target. An initial early charge by Steven Lord was thwarted as he suffered hip issues from mile 51 onwards, this opened the door for eventual winner Michael Stocks to move up. Dan Masters and Jeremy Isaac showed how a steady and conservative pace can prove the winning strategy as they were both out of podium places until roughly ninety miles. Ladies winner Mari Mauland took another conservative approach banking the early miles and well outside the top ten overall for a good seventy or so miles. She would eventually finish in fifth overall with a fantastically fast time of 16:55. The gap to second placed Sarah Sawyer was a full four plus hours. Third placed Naomi Moss was only six minutes behind. Winner of the 2017 edition and now two time winner of Marathon des Sables, Elisabet Barnes, she offers coaching via her website www.ultra.coach . She is a multi-stage race demon and Elisabet will be at the Ultra Festival in early June so catch her there live. Anna is heading to Madeira for the Ultra Skymarathon in May, she will also be in Bhutan later in the year. You can keep up to date with Frosty and her adventures via Twitter and her Facebook page. Tim is back! A fine win at Penyagolosa has confirmed that Tim is back on form after what for him has been a quiet eighteen or so months with some less than optimal performances. Although there is no confirmation of his June /July race schedule Tim will be at Diagonal des Fous in October, how good is that! Pau Capell’s ascendancy to one of the top level ultrarunners has been a marvel to observe. His win at Transgrancanaria this year must rate as his best performance to date and he followed that with a second place at last month’s Madeira Island Ultra Trail. He is stepping up to UTMB this year, his first 100 mile race, it will be interesting to see how he performs and his approach to this tough and competitive race. You can catch all the updates via Twitter. Stay tuned indeed through his Twitter, Instagram and Facebook posts. This entry was posted in Ian Campbell Adventures, Uncategorized and tagged 100 Miles of Istria, Abdelkader El Mouaziz, Adriana Vargas, Alenka Pavc, Andrea Huser, Andy Symonds, Anna Frost, Beth Pascali, Craig Holgate, Dakota Jones, Damian Hall, Dan Masters, Dylan Bowman, Elisabet Barnes, Elizabeth Currie, Fernanda Maciel, Francecsa Canape, Francois d'Haene, Gemma Arenas Alcazar, Grand Union Canal Race, Gustavo Ismail, Jennifer Hill, Jeremy Isaac, Jessica Hook, Jose Manuel Gasca, Laura Gordiola, Lavaredo Ultra Trail, Leire Martinez Herrera, Lisa Borzani, Madeira Island Ultra Trail, Marathon Des Sables, Mari Mauland, Maria Mercedes Pila Veracocha, Michael Stocks, Mohamed El Morabity, Mozart 100, Naomi Moss, Nathalie Mauclair, North Downs Way 50, Oliviero Bosatelli, Patagonia Run, Pau Capell, Paul Giblin, Penyagolosa Trails, Rachid El Morabity, Remi Queral Ibanez, Sarah Sawyer, Sergio Trecaman, South Downs Way 100, Teresa Nimes, Thames Path 100, Thomas Evans, Timothy Olson, Transvulcania, Ulrike Striednig, Ultra Trail Australia, Western States 100, Xavier Thevenard, Yading Skyrun, Yeray Duran, Zegama on May 5, 2017 by Ian Campbell. It’s the long stage and time to sort the field out. It’s the most feared and probably most critical stage of this race. This year’s fourth stage was 86.2km long and with seven checkpoints it provided enough distance that any mishaps within the leading pack were going to be punished. Overall leader Rachid El Morabity won the stage by eleven minutes, but it wasn’t from a fellow Moroccan, it was from Britain’s Thomas Evans who had an outstanding stage to take second place (must be the highest placing Brit ever!). In third place Mohamed El Morabity now has a thirteen-minute gap on fourth placed Abdelaziz Baghazza. Strong contender for the podium this year was Abdelkader El Mouaziz but he dropped out at the fifth checkpoint to end his 2017 MDS campaign. Overall Rachid El Morabity extended his lead to thirteen minutes from second place Mohamed El Morabity. Thomas Evans is now in third five minutes behind and has a forty-eight minutes lead on fourth placed Baghazza. Andy Symonds ran for most of the stage with fellow Brit Damian Hall and finished the stage together with less than a second splitting them. But in contrast just look at Thomas Evans time for the stage, a full two hours ahead …. what a stellar performance. Andy Symonds lies second overall in the Top Brit table. Evans 16:33:13, Symonds 18:48:43 and Hall 20:12:56. France’s Nathalie Mauclair managed to grab 90 seconds from Sweden’s Elisabet Barnes in this long stage. Barnes remained solid and tracked Mauclair throughout the course of the stage always within two minutes. Barnes overall lead is twenty-three minutes so a similar performance tomorrow in the marathon long stage will secure victory. Brazil’s Fernanda Maciel ran strong securing third place in the stage and overall and she has almost a two cushion to fourth place Emilie Lecomte who also finished fourth in the long stage. A solid performance in this long stage from Jennifer Hill will secure her top Brit. This entry was posted in Ian Campbell Adventures, Uncategorized and tagged Abdelaziz Baghazza, Abdelkader El Mouaziz, Andy Symonds, Aziza Raji, Damian Hall, Elisabet Barnes, Emilie Lecomte, Fernanda Maciel, Jane Keenan, Jennifer Hill, Jessica Hook, Marathon Des Sables, Melanie Rousset, Mohamed El Morabity, Nathalie Mauclair, Rachid El Morabity, Thomas Evans on April 13, 2017 by Ian Campbell. The third stage of this year’s Marathon des Sables at 31.6km had only two checkpoints. The Moroccans remained in front with overall leader Rachid El Morabity winning the stage and adding a further minute to his overall lead. Abdelaziz Baghazza stepped up to take second place in a joint time with Mohamed El Morabity. Fourth place in the stage was taken by Abdelkader El Mouaziz dropping Britains Thomas Evans to fifth place. Overall Rachid El Morabity has a ten minute lead over second place El Moauaziz with Mohamed El Morabity in third place by only two seconds. Andy Symonds had another solid day and retains his place as second Brit behind Thomas Evans. Symonds has a sixteen minute gap to close which is achievable in tomorrow’s long stage of 86.2km. Damian Hall had a strong third day, taking third place and also third Brit overall as Andrew Fargus slipped back giving away a costly thirty minutes. Sweden’s Elisabet Barnes and 2015 MDS winner looks serene as she gained a further two minutes today to make her overall lead exactly twenty four minutes on second placed Nathalie Mauclair from France. Brazilian Fernanda Maciel placed third today and is third overall twenty five minutes behind and with a thirty nine minutes lead on fourth placed Emilie Lecomte. This entry was posted in Ian Campbell Adventures, Uncategorized and tagged Abdelaziz Baghazza, Abdelkader El Mouaziz, Andrew Fargus, Andy Symonds, Aziza Raji, Damian Hall, Elisabet Barnes, Emilie Lecomte, Fernanda Maciel, Jennifer Hill, Josephine Adams, Marathon Des Sables, Melanie Rousset, Mohamed El Morabity, Nathalie Mauclair, Rachid El Morabity, Susannah Chan, Thomas Evans on April 11, 2017 by Ian Campbell. The second stage of this year’s Marathon des Sables was 39km with three checkpoints. The trio of top Moroccan runners remained at the top although finishing this second stage in a different order with 2016 winner Rachid El Morabity taking the stage win and adding eight valuable minutes. Thomas Evans from the UK ran the stage in fourth place to keep within a few seconds of the leaders and still well in contention of third place. Winner in 2015 Sweden’s Elisabet Barnes continued her strong MDS challenge and eclipsed Brazilian Fernanda Maciel by over eleven minutes. Barnes now has a seventeen minutes lead overall going into tomorrow’s third stage of 31.6km. This entry was posted in Uncategorized and tagged Abdelkader El Mouaziz, Andrew Fargus, Andy Symonds, Aziza Raji, Elisabet Barnes, Emilie Lecomte, Fernanda Maciel, Jane Keenan, Jennifer Hill, Josephine Adams, Marathon Des Sables, Melanie Rousset, Mohamed El Morabity, Nathalie Mauclair, Rachid El Morabity, Thomas Evans on April 10, 2017 by Ian Campbell. The Marathon des Sables started for the 32nd time on Sunday and as predicted the racing was fierce. The first of six stages had the runners cover 30.3km, a good Sunday run! The top three in the men’s race was a Moroccan affair but they have some British company hot on their heels. The women’s race has opened up with previous MDS winner Elisabet Barnes leading the way by six minutes. Its early days in the MDS with five stages of racing left including the long stage on day 4 of 86.2km. This entry was posted in Ian Campbell Adventures and tagged Abdelkader El Mouaziz, Andrew Fargus, Andy Symonds, Aziza Raji, Elisabet Barnes, Emilie Lecomte, Fernanda Maciel, Jennifer Hill, Josephine Adams, Marathon Des Sables, Melanie Rousset, Mohamed El Morabity, Nathalie Mauclair, Rachid El Morabity, Susannah Chan, Thomas Evans on April 10, 2017 by Ian Campbell. The 32nd edition of the fabled Marathon Des Sables is due to start in several days. The circus will be back in the desert corralling over thirteen hundred participants to cover roughly 250km over six days. MDS is a foot race where participants have to be totally self-sufficient carrying all food and mandatory equipment. But the whole event would be nothing without the support staff, one for every two participants, the 2 helicopters and 1 light aircraft, 25 buses, 4 camels and 57 medical staff, the list goes on……. It’s a logistics exercise comparable with an army brigade making sure that there is ample water, tents and manned check-points etc. We are in line for some very exciting multi day desert racing at this year’s Marathon des Sables. The men’s race could be summarised as potentially a repeat performance of previous year’s but El Morabity’s gap last year was reduced to only a few minutes so it could lead to a shake up on the podium. The women’s race has all the ingredients for some very exciting racing. There are probably five or six fighting it out for the top spot which could make every day a challenge and any slip up absolutely crucial. The table above shows the top Moroccans performances over the last five years. The podium has been dominated by these guys and it would come as a huge surprise if it wasn’t the same this year. The following guys are confirmed for this year. Rachid El Morabity – El Morabity has got to be the one to beat having won the last three editions of the race. Morabity’s winning gap last year was only four minutes compared to fourteen minutes the previous year, both times to El Mouaziz. He also came second at OCC in 2016 and is entered for CCC this year. Abdelkader El Mouaziz – El Mouaziz has a deep marathon pedigree with a 2:06 PB and having raced some of the most competitive road marathons over a decade or more, mainly London & Chicago. He has translated that marathon speed to the rough terrain of the desert and multi day racing. The last two years placing second to El Morabity but having a healthy gap to a third placed El Akad. Aziz El Akad – El Akad has placed third in the last two years but will he have enough to challenge the likes of El Morabity and El Mouaziz? The one hour gap to second at this level is substantial amount to bridge. Samir Akhdar – A solid top five finisher but Akdar will be looking to make the podium for the first time. Andy Symonds – Symonds has got to be the top non Moroccan at this year’s event. He has lots of talent, fast and excels on mountain courses. How will he fare in the desert against some of the best multi day racers in the world? It certainly will be interesting to track his progress. Tsuyoshi Kaburaki – Kaburaki has tons of mountain racing pedigree earned at UTMB, Hardrock, & Western States, although a few years ago. He placed second last year at Ultra Fiord Patagonia. A top ten finish would be a good result. Marco Olmo – Olmo has raced MDS many times and has won the various age categories from M55, M60 and now M65 for the last three years. Who else can beat the Italian Olmo? Nathalie Mauclair – Second at last year’s MDS, Mauclair will undoubtedly be seeking the top spot this year, especially as last year’s winner Sedykh is not competing. Her closest rivals are likely to be 2015 winner Elisabet Barnes and Brazilian Fernanda Maciel. Mauclair has won Diagonal des Fous twice and UTMB during 2013 to 2015, by comparison 2016 was a much quieter racing year for her. Elisabet Barnes – Winner of MDS in 2015, last year’s race did not go to plan and she missed out on the podium. Since then she has placed second at the Grand to Grand ultra and a fourth place at this year’s The Coastal Challenge in Costa Rica. Barnes will be looking to regain that top spot for sure! Fernanda Maciel – A tough competitor who regularly places top five or podium at some of the world’s toughest mountain races. Last year placed third at MDS. Maciel will surely be looking to move further up the podium this year. Emilie Lecomte – In 2016 Lecomte raced the Grand to Grand ultra a similar multi stage race in the US and won. She also placed third at the Madeira Island Ultra Trail. Lecomte seems to excel on the tough gnarly courses like Diagonal des Fous and UTMB. How will she perform on the fabled dunes at MDS? Melanie Rousset – A recent third place at Transgrancanaria will surely boost Rousset’s confidence coming into MDS. She has placed sixth, fifth and fourth at Diagonal des Fous in recent year’s. It will be interesting how she tackles multi day desert racing. Federica Boifava – Italian Boifava has won a lot of races many of them in the marathon to 80km range. It will be exciting to see how she performs in multi day desert racing. Likely to place highly if she doesn’t go off to fast in the early stages. Aziza Raji – Top Moroccan in 2016 placing fifth. Meryem Mahfoud – Second at Nomads Run 60km 2017. Houda Taoufiq Mabileau – Third at Nomads Run 60km 2017. Touda Didi – Tenth at MDS in 2011. This entry was posted in Ian Campbell Adventures and tagged Abdelkader El Mouaziz, Andy Symonds, Aziz El Akad, Aziza Raji, Elisabet Barnes, Emilie Lecomte, Ester Alves, Federica Boifava, Fernanda Maciel, Houda Taoufiq Mabileau, Marco Olmo, Melanie Rousset, Meryem Mahfoud, Nathalie Mauclair, Rachid El Morabity, Samir Akhdar, Touda Didi, Tsuyoshi Kaburaki on April 3, 2017 by Ian Campbell.